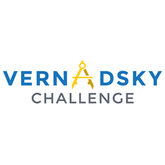 We’re accepting applications for the engineering startup competition the Vernadsky Challenge! Vernadsky Challenge is a startup competition to turn your idea into a reality. Vernadsky Challenge’s team have brought together engineering and design professionals. Do you have an innovative idea or even a finished project? Tell it to our experts. All applications will be evaluated and the most promising solutions are guaranteed to receive our support. Teams with the most promising ideas will receive investment funding, professional expertise and access to innovative scientific and technological solutions developed by Noosphere Ventures equivalent to $77,000. The Vernadsky Challenge is the brain child of Noosphere Ventures’ founder Max Polyakov and Google Ukraine’s Director Dmitry Sholomko.